GoXtra News: SABC 1's U CAN DO IT! Finalists Announced! SABC 1's U CAN DO IT! Finalists Announced! A Wildcard kicks the U CAN DO IT! finalists up to 26, who stand a chance to be crowned as Mzansi’s next hot stars. The second phase of the U CAN DO IT! 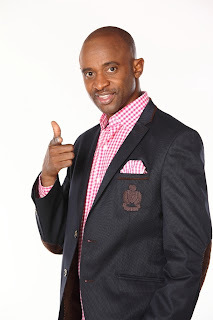 reality talent search driven by Kwaito King, Arthur Mafokate, in partnership with CAN DO! (Nampak Bevcan), kicked off with a twist as a wildcard contestant, Andrea Tambo, was included in the Top 25 announcement yesterday, 16 July 2013 on SABC 1. The audition process made way for behind the scenes drama in the CAN DO! Academy house, as they receive musical training and mentorship by industry role models, and are constructively criticised by fellow finalists and judges during their performances at Emperors Palace, Johannesburg. 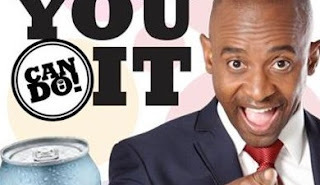 “The new format of the show lets the viewers in on all the behind the scene action while equipping contestants with all they need to reach their potential in a short time, ultimately revealing which of them has what it takes to survive in the music industry and become a true star,” says Alex Bouwer, CAN DO! Marketing Manager. The pressure was on from the get go as the Top 26 formed groups upon their arrival at the CAN DO! Academy. These new groups were challenged with a surprise performance for Arthur and celebrity mentor, Kabomo, less than 24 hours after their groups were formed. Next week, the finalists will be visited by stylist and designer Paledi Segapo (Pulse Homme) to share his tips and tricks of the trade, after which contestants will be faced with another challenge. Do not miss the drama and intrigue on South Africa’s next hot talents’ road to fame and fortune, every Tuesday at 22:00 on SABC 1. 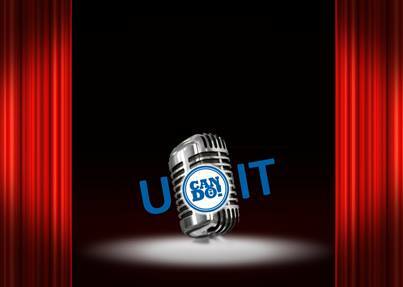 To find out more about uCANDOit! visit CAN DO!’s website www.cando.sa.com or follow us on Twitter @choosecando @uCANDOitTV @uCANDOit2013 @Arthur999_. Johannesburg, Gauteng: Wildcard finalist, Andrea Tambo, was included in the Top 25 finalist announcement on the U CAN DO IT! reality talent search driven by Kwaito King, Arthur Mafokate, in partnership with CAN DO! (Nampak Bevcan) yesterday, 16 July 2013 on SABC 1. This twist kicks the finalists up to 26, who have now moved into the CAN DO! Academy, to receive musical training and mentorship by industry role models, in their quest to become one of South Africa’s next big music legends. Issued by Annette Jansen van Rensburg.